So here I was on the Thursday afternoon heading towards the river with 4 pints of maggots I had bought on Saturday. I didn’t think I was going to use these after the bout of sickness. I arrived to find the river very clear and low again. 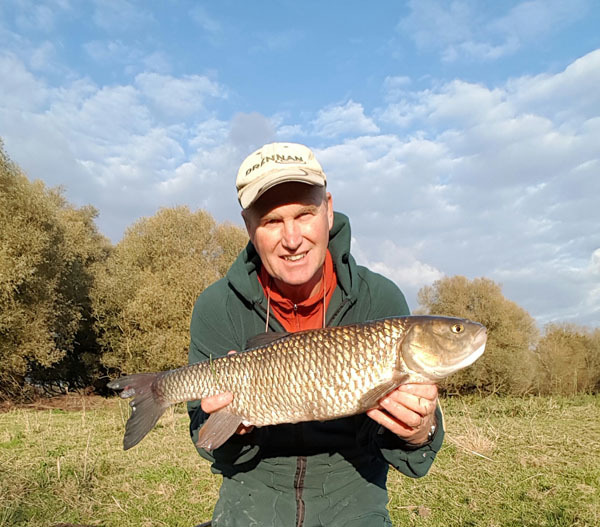 I looked at several swim some contained a few chub but one had about 20 chasing the catapulted maggots as they went down with the flow. It was this one that I chose to fish. The grass wasn’t flattened so nobody had fished it for a while. The rig is the very short hooklink with a black cap feeder. 4lbs 12oz Preston Reflow line. Main line is 6lb. Size of the hook is a ridiculous 20. You need this small a hook though to get a bite. I decided not to bait drop any maggots in just relying on the feeder to top up the swim and keep the fish interested. First cast towards the willow branches had the feeder landing on a lovely gravel run. Soon I could see the chub gather around the feeder taking the free maggots. I didn’t want to leave it out for long so wound in and recast with a full feeder with two maggots on the size 20 hook. I didn’t have to wait long before the tip bounced around and a chub had hooked itself. It was soon pulled into mid river where the rod and line played it’s part in subduing the lunges of the chub. I netted the fish about 40yds below away from the other chub. This was not a big fish but one of about 4.5lbs. 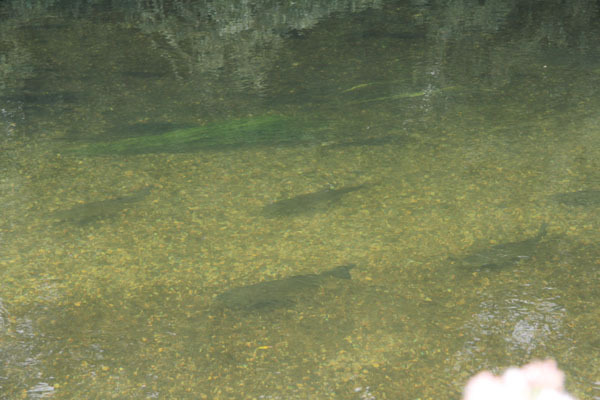 Each time the feeder splashed in the river the chub would turn up and start feeding within a few seconds. It was fascinating watching 5 or 6 chub gather around the feeder. Waiting for the chub to hook themselves and bolt off. I had arrive at 2pm and the chub kept feeding each time the feeder went out and when I packed up at 6pm they were still feeding. I was enjoying the session however still weakened I couldn’t last the pace. 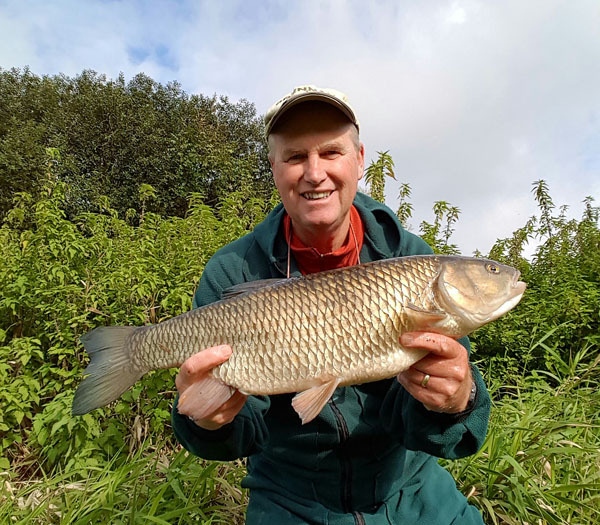 I still caught another big chub of 6lbs 6oz which looked a very old and a declining chub. Most of the others were between 4-5lbs. The very last cast saw me playing another 6lb plus chub. I saw it take the bait and then bolt off under the willow branches, I just managed to bring it out into open water again when it rushed again for the sunken branches, out it came again only for it to reach the branches and the line broke. It was a very good chub. However 7 chub with 2 x 6lber and losing 2 chub was a great session and good to be back in the groove. This entry was posted on Sunday, November 6th, 2016 at 8:37 pm	and is filed under Uncategorized. You can follow any responses to this entry through the RSS 2.0 feed. Both comments and pings are currently closed.